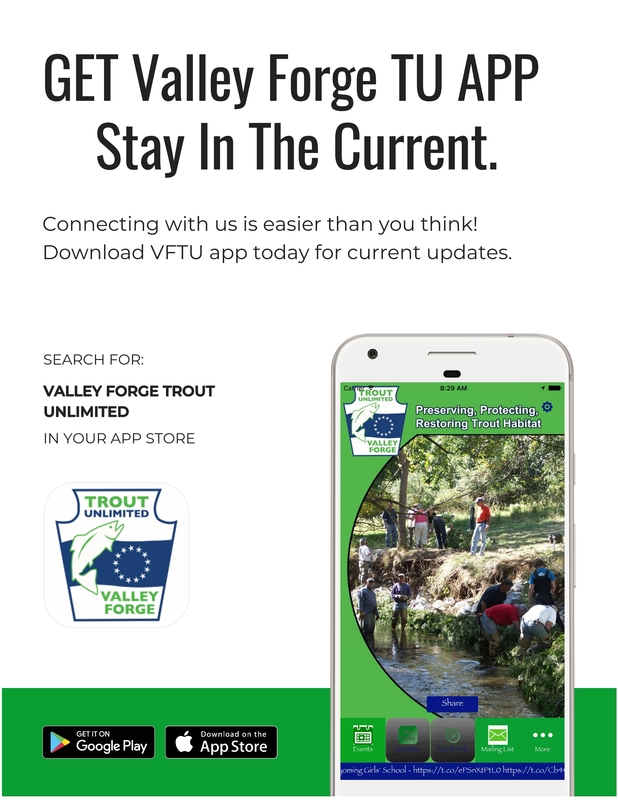 It’s time for you to download our new Mobile App to your device by simply searching your APP Store for Valley Forge Trout Unlimited. The application is for both Apple and Android devices. Don’t forget to set up your contact information after you have downloaded our APP. This will allow you to get updated information on VFTU activities. You can also allow us to use proactive notifications if you want. Photo Gallery and Sharing capability. Let us see you in action!